Hacking Meal Prep: Tips, Tricks & Recipes! We can plan to win or plan to fail! Here is a summary of the information I shared in my meal prep 101 video YouTube so you can stay on track to achieve your goals. Preparing some or all of your meals in advance. Why is meal prep important? Preparation is key on your journey! One common mistake is not having healthier alternatives readily available. When we don’t have food prepared or healthy snack options, we tend to reach for items that may not support fitness goals. If you’re a bodybuilder, fitness model or athlete, you may want to consider meal prepping since your “body is business” and understanding what you’re putting in to it is pretty important. Beginners should start with 2 meals and 1 snack and they should include their “trigger meals” – these are the meals in which you are most susceptible to eat something unhealthy. Being prepared can lessen the likelihood ofyou deviating from your plan. Advanced users can prep all of their meals at once and remember to give yourself variety! When prepping for the week, the maximum that I recommend preparing in advance is 5 days worth of food. Keep up to 3 days worth of meals in the refrigerator and freeze the rest of the meals. The temperatures of your refrigerator and freezer, as well as the types of containers you use, are vital in preserving freshness of your meals. Your refrigerator temperature should be 40F or below and your freezer should be at least 0F or below. If you are preparing several hot meals, you should allow the meals to cool down (nearly to room temperature) and then store them in the refrigerator or freezer within 1-2 hours of preparing. Glass containers are great to have in the fridge because you can see the contents and they generally can be used in most microwaves. If you use a plastic container, just make sure it is BPA free. If you are going to freeze your meals, make sure the containers are airtight! If not, the food may be susceptible to freezer burn and taste like ice by the time you reheat and eat the meal. When defrosting your meals, I always recommend defrosting in the fridge the night before you are going it eat the meal. It takes longer, but really, it has the less risk associated with it. Be careful if you’re planning to use the microwave to defrost your meals. Often times the microwave will heat food up pretty quickly and if there was any bacteria on/in the food, it can start to multiply or spread. Plus, some parts of the meal will be frozen while others remain warm hot so part of your meal can be overcooked. While there are concerns about both the health risks associated with high-level exposure to microwaves, less is known about the low-level exposure. The FDA reports that scientific questions still remain as to the effects of low-level exposure to microwaves but generally people should practice common sense. Other options to reheat your food include: convection ovens, stovetops, crockpots, rice cookers and ovens. Use glass containers whenever possible. Use BPA free plastic. Often times the food can get so hot that it melts the plastic material. Substances and chemicals used in the manufacturing of the plastic can leak into your food and cause serious health concerns. Place the contents for each smoothie in a sealable bag or airtight container. Prep no more than 4 days worth. Place the ingredients in a bag and then dump the contents into your blender each morning and blend. Make smoothie “ice cubes.” Blend leftover veggies and fruit and pour the contents into ice cube molds. You can add these to other smoothies at a later date instead of using ice. Cook multiple things at once! 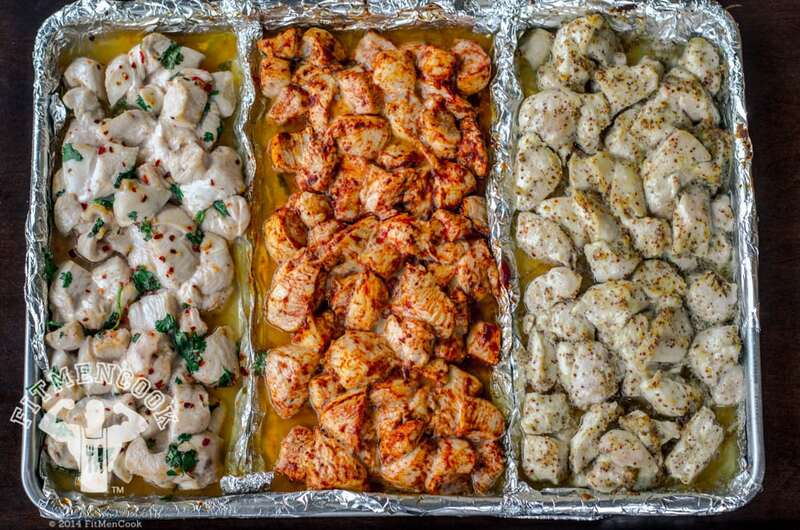 You can actually bake a protein like chicken or fish AND roast your veggies at the same time. 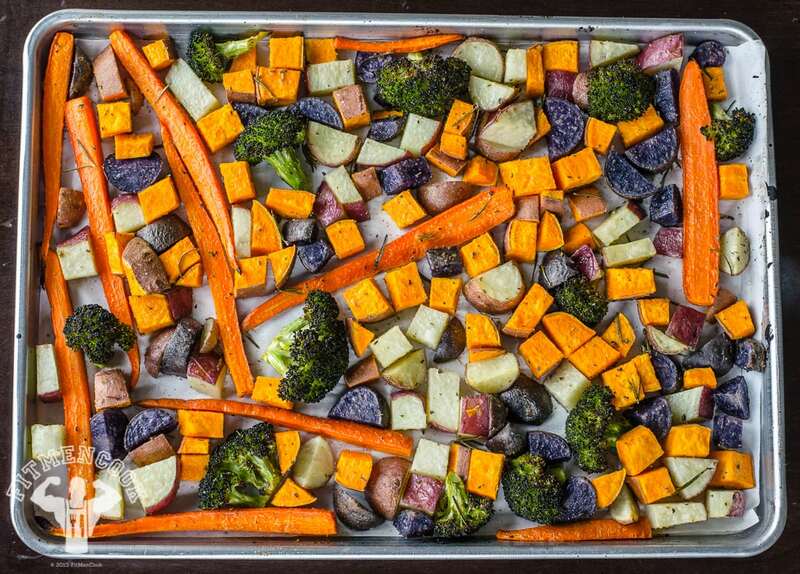 Use starchy and hearty veggies that you can roast in the oven for about 30 minutes. That way you can easily decrease the amount of time in the kitchen. Set oven to about 420F. Chop up your veggies. I used sweet potato, purple fingerling potatoes, red potatoes, carrots and broccoli. Mix together 2 -3 tbsp safflower oil (or olive oil), 2 sprigs rosemary, 1 .5 tsp garlic powder, fresh lemon juice and 1 tsp oregano. Pour the oil mixture over the chopped vegetables and mix together. Place the veggies on a baking sheet and then add sea salt and pepper. Find EASY ways to make quinoa more delicious. You can do that by adding in a few ingredients. Here are 2 quick delicious hacks to quinoa – one salty and one sweet. Breakfast quinoa. It’s packed with healthy fats, natural sugars and complex carbs. Mix cooked quinoa, with add naturally dried berries, nuts like walnuts, seeds like pumpkin or pepitas and 1 tbsp cinnamon. Mix this together very well. Each morning scoop out about a cup, heat in the microwave for no more than 1 minute. Pour about ½ cup almond (or coconut) milk over it. And I guarantee this WILL be your new favorite breakfast. Bet. Mediterranean-inspired quinoa. Delicious with an often overlooked healthy fat – the olive. To cooked quinoa add chopped cucumber, pitted Kalamata olives, tomatoes, feta, fresh lemon juice, cumin, sea salt, pepper and cilantro. Mix together. With these 2 recipes you will never have leftover quinoa again! Chicken is likely the most common form of protein for most meat-eaters in their healthy eating journey. Check out my #StruggleChicken video on YouTube that gives you one of the ways I cook chicken breast so that it does not taste like death. Make multiple seasoned portions of chicken breasts to add variety to your diet. Cover a baking pan with aluminum foil. Make 3 columns in the pan. Take a sheet of aluminum foil and fold it over to create a divider. Then, place the divider inside the pan and mash down so that it is set in place. Repeat the process to make another divider. Add your chopped raw chicken breast pieces. Season each column or section differently. Make kabobs to practice portion control or to make sure your meals are meeting your macronutrient requirement. Chop up the chicken breasts. Use your measuring scale to accurately measure out 6oz of raw chicken. Once you get the exact number of pieces, season them and add them to a kabob. Use veggies like bell pepper, mushrooms and onions as dividers. Wrap chicken around veggies to kill 2 birds with 1 stone – protein and veggies all in one! Take a 3-4 oz piece of chicken breast and season it. Add a vegetable like asparagus, bell pepper slices or carrots to the center of the chicken breast. Wrap the chicken around the vegetables. Place it on a baking sheet with the flap facing down so that it bakes closed.